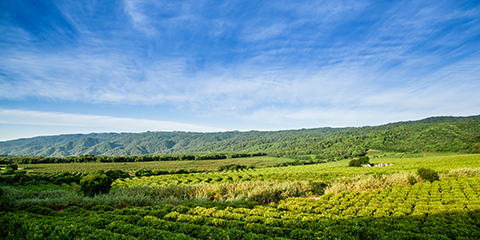 Our associates provide us with fruit coming from a total of 2,500 hectares of plantation fields. On the other hand, we count with 200 hectares owned by the cooperative that produce at their full capacity following rules and standards of agricultural practices. We aim at a production with no residue and plague control so as to protect the environment and our workers. All our producers can consult an Agronomical engineer available to clear up doubts, provide counselling about estates, production management and good agricultural practices, along with annual courses. This allow us to ensure quantity, quality and continuity of the raw material for our industrial plant.